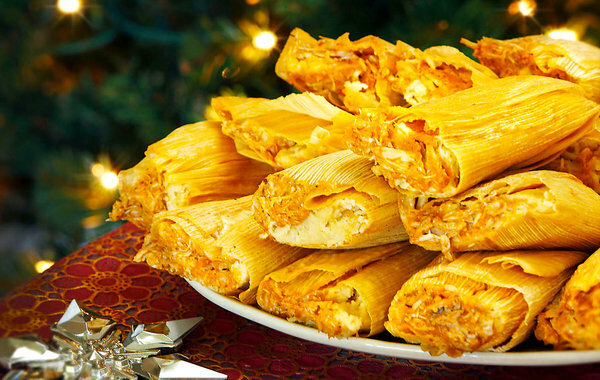 Christmas just isn’t Christmas without making tamales. Tamale making or the tamalada (tamale making session which turns into a gossip fest and/or party) took place at my mom’s house for at least 40 years. Ten years ago the location moved to my house. This year it’s back to my mom’s home. Holiday traditions rarely follow a straight line. From our past to our present the traditions branch out as we add children, relatives, and present life to the mix. Whether your celebrations of the holidays are uniquely your own, or passed down from great grandmothers to you, they are worth sharing. This year our family traditions will branch a little more. Just like on Thanksgiving, I’ll be away from my mother and siblings, and with my adult kids in Colorado on Christmas Eve. They are making their own life while we (the vast majority of the extended family) are here in Southern California. And that’s okay, more than okay, it’s good. In our family, Mexican American/Chicano, we make Mexican style tamales and champurrado as well as sugar cookies, fudge, and ham. We celebrate the Mexican and the American because that is who we are. We’ve shared hundreds of stories at the tamale table while spreading masa, sprinkling cheese, and spooning chile into corn husks. In my kids case, we’ll make our tamales and champurrado vegan style. This is not what nana envisioned would occur with her recipe but continuing with the traditional foods will pass on my mother’s culinary knowledge, and her mothers knowledge, to my son and daughter. And we’ll share all of the above stories and then some. Holiday traditions may branch out, but they pass on our heritage, and in doing so create a canopy for our children and grandchildren to pass on to subsequent generations. Happy Holidays! If you’re interested in making tamales you might want to read my Tactical Tamale Plan. Lucky you, you get them delivered. Go for the tamalada in 2014, you’ll have a great experience. I think I’m going to make some champurrado tonight! Enjoy your time with your family. Warm holiday wishes to you. 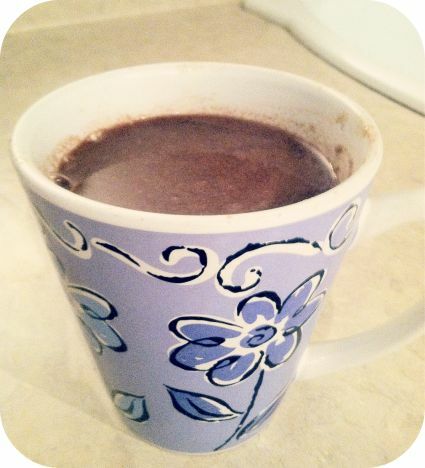 The benefit to making a hot comforting drink, like champurrado, is that it makes one slow down to sip and enjoy. Enjoy the blessings of family and friends.